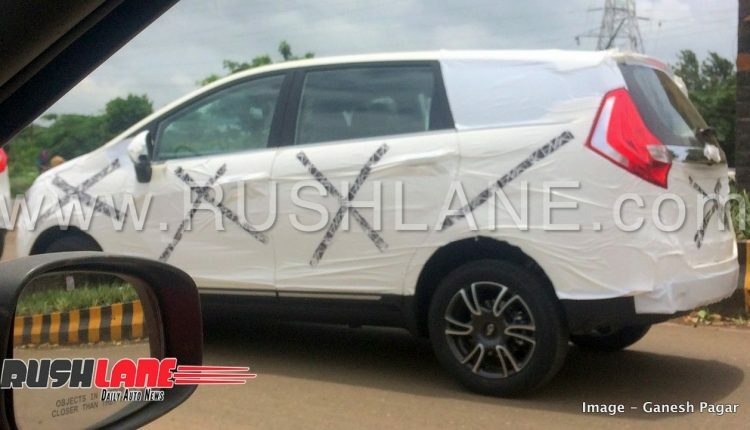 Mahindra Marazzo will rival the Maruti Ertiga, Toyota Innova, Renault Lodgy and Honda BR-V once launched. Hat tip to automotive enthusiast Mr Ganesh Pagar for sharing these images. 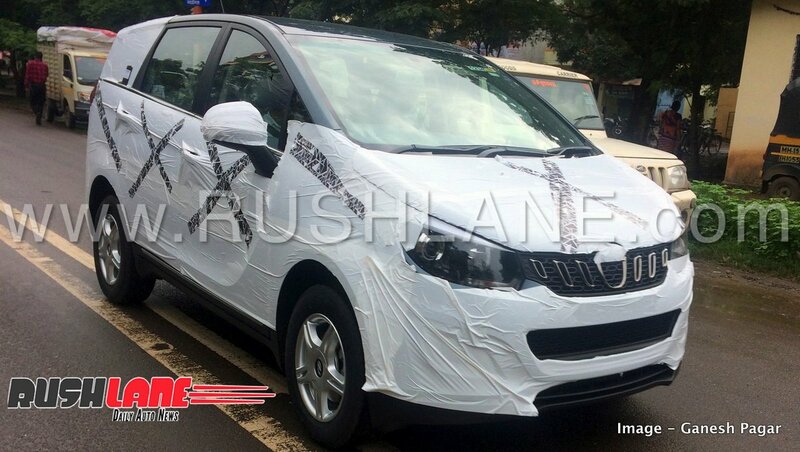 The Shark inspired Mahindra Marazzo will launch in India on 3rd September 2018. 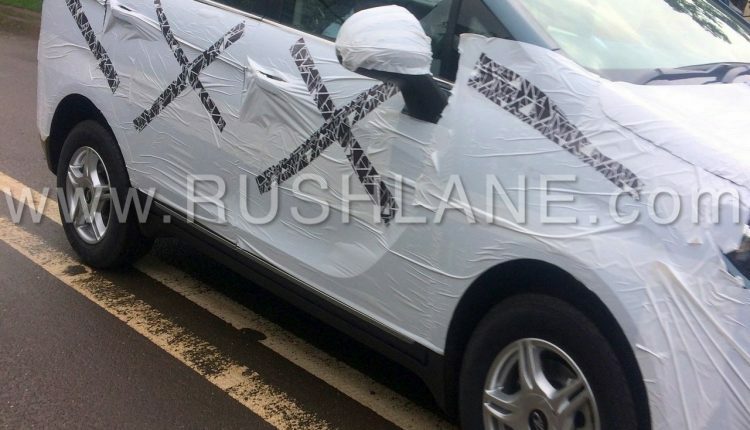 It has been sighted on test once again ahead of launch, drawing attention to its exterior features. 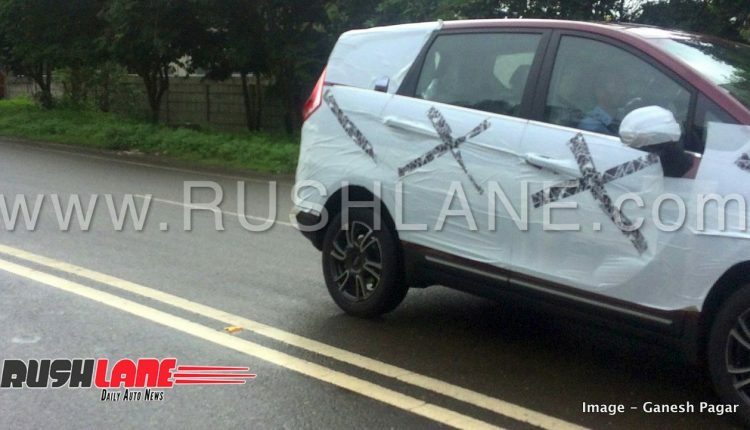 In the latest spy shots, the Mahindra Marazzo’s mid variant is seen. It does not get machine cut alloys as seen in the top end variants. But it does get twin-barrel projector headlamps and LED DRL on the fog light. 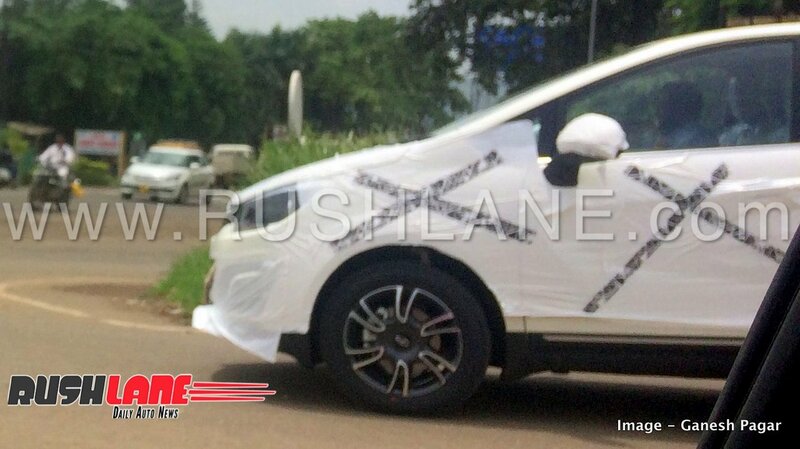 In addition to that, the new spy shots also confirm two new colour options – Red and Blue. 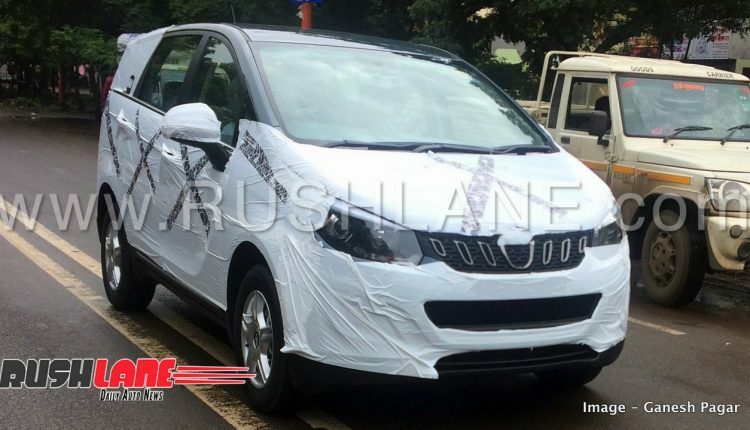 The Mahindra Marazzo owes its design to Mahindra Design Studio and Italian design house Pininfarina and is inspired by a Shark from which it also gets its name in the Basque language. The 7/8 seater MPV is engineered via a collaboration between Mahindra North America Technical Centre (MNATC) and Mahindra Research Valley (MRV) in Chennai. 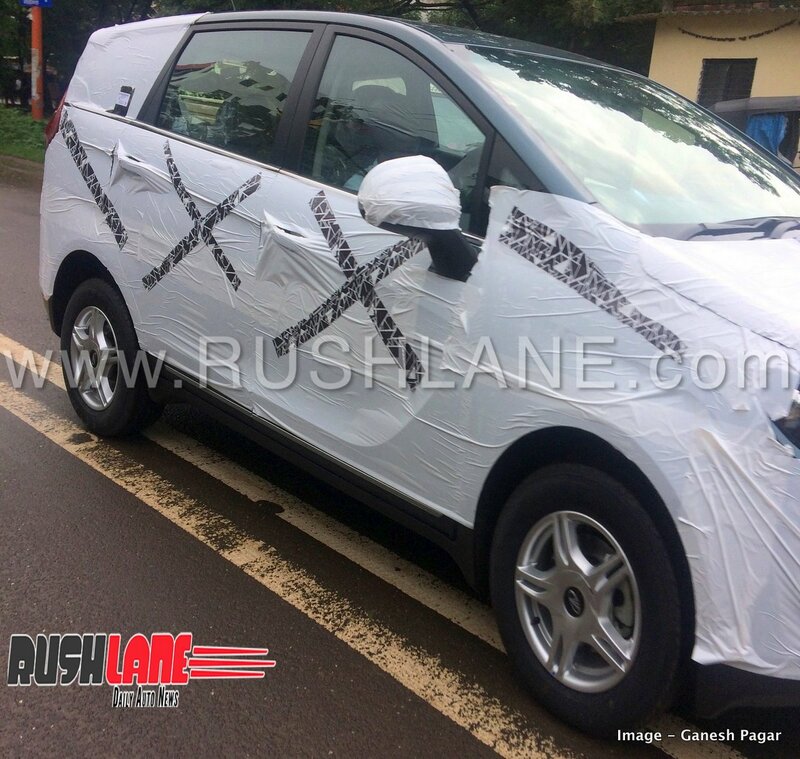 Mahindra Marazzo exteriors which boast of an aerodynamic stance are seen in shark inspired front grille and tail lamps that are also inspired by a shark’s tail. The Marazzo sits on 16”, five spoke alloys which are offered on the mid-spec models while top end variants get 6 spoke machine cut alloys. 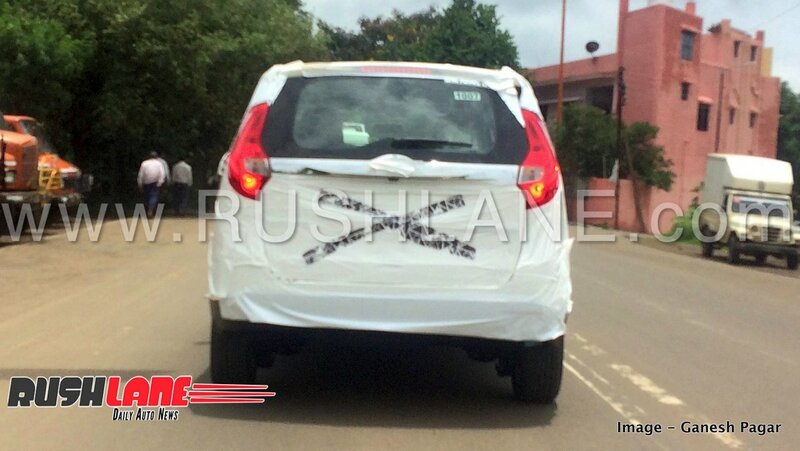 Wrap around headlamps with LED DRLs and LED tail lamps are expected to be standard across range. Interiors are in two tone color scheme with dashboard with faux aluminum trims and chrome finished air conditioning vents. On board features also include controls on steering wheel, automatic climate controls and a new touchscreen infotainment system. 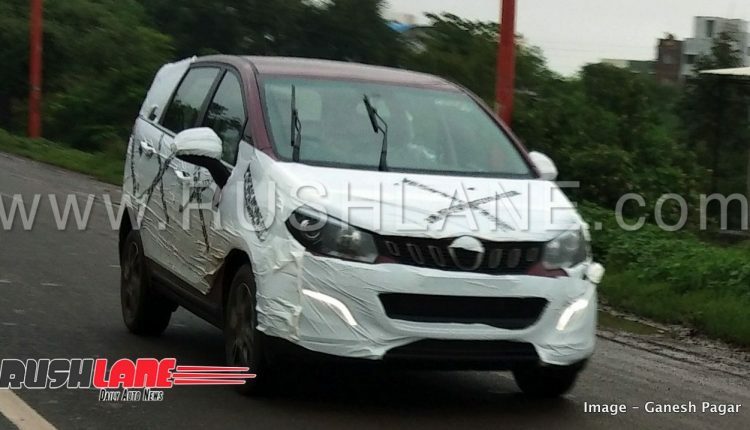 Mahindra Marazzo will be powered by a new engine, details of which are yet to be confirmed. As of now, this engine is rumoured to be a 1.5 liter, 4 cylinder diesel engine offering 130 bhp power and 300 Nm torque. 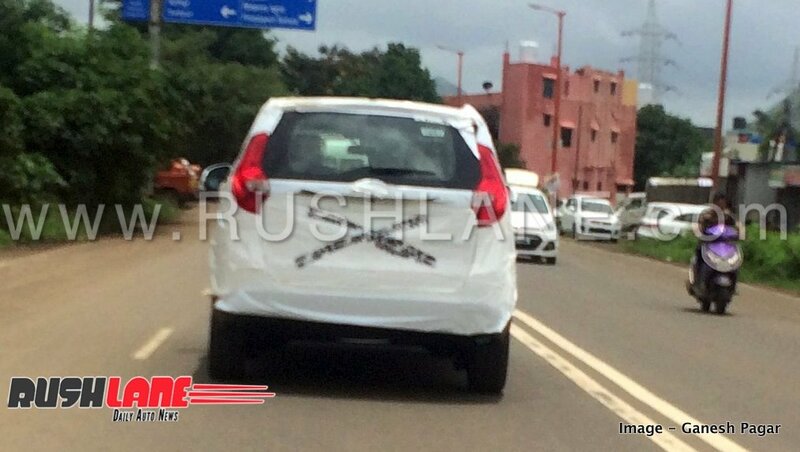 Transmission is to be taken care by a 6 speed manual gearbox with options of automatic gearbox to be added later. To be presented in both 7 and 8 seater configurations, the Mahindra Marazzo could be priced between Rs 11-15 lakhs once launched in India.